It might be my favourite of the three, nice review! Thanks for the comment, thrid review will be up very soon. Brilliant review. My favourite of the three, the battle sequence at Helm’s Deep… Wow. Thanks, Helm’s Deep battle is just mind blowing to say the least. And yes on Helm’s Deep. Just a great battle sequence, that perfectly time cutaways from action so as to capture the emotion of characters knowing they are going to die. Helm’s Deep is hands down easily, my favorite sequence in the entire trilogy. Thanks, it’s just such a well executed battle scene. Very nice review. Helm’s Deep is a great battle, but the movie doesn’t stand well on it’s own since it needs to be seen together with the other two bookends to understand it completely. Thanks for the comment, as a trilogy it is unbeatable. Thanks, he is a slimy snake of a character isn’t he? Thanks for the comment, I do think it’s a hard task to live up to such a great trilogy. Nice review man. I think this one is my favourite of the three. Have been meaning to revisit this trilogy actually. Your reviews may be the inspiration I need. Thanks for the comment, glad my reviews have made you consider watching the trilogy again. Seeing Gollum on screen for the first time was like seeing the T-Rex in Jurassic Park. The CGI was just incredible. Great comparison with Jurassic Park. I know when I saw Gollum I was just so amazed at the amount of skill that must have gone into crafting him. 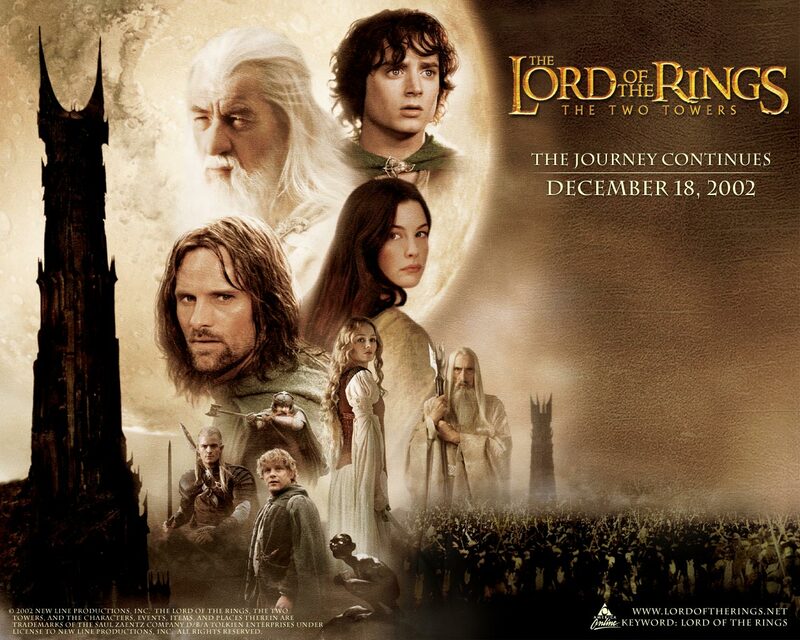 By far the best of all the LOTR and Hobbit films, this takes the darker view, and is better for it. Mortensen is one of my favourite actors, and it’s good to see him have more to do. Serkis is great as Gollum, but he is usually very good at what he does, and I expected just that. I have always wondered why I have such a problem with these films. It is mainly the need for too much CGI, which it obviously has to have, and the fact that I find Elijah Wood annoying in the extreme as well. Certainly darker and with a more serious undergone to it. The Battle of Helm’s Deep is one of the best battles ever committed to film. Mortensen was born to play Aragorn and Serkis was inspired casting for the role of Gollum. The Battle of Helms deep sure is an incredible battle sequence “Would you like me to describe it to you, or shall we get you a box?” – fantastic! The three stories works really well as we get little pieces of each then back to the other characters, must have been very tricky to put together and decide how to leave on scene to go to the next. This movie is so many kinds of excellence, you can run out of adjectives describing it. And you can’t go wrong with the battle of Helm’s Deep. Andy Serkis’ motion capture performance was unprecedented, and really put him on the map. The standout scene for me is the opening battle of Helm’s Deep. How the rain starts pouring and the orcs pound their spears into the ground. Then the ending when Gandalf shows up and you’re cheering! Another great review sir. 2 for 3! Serkis was inspired casting for Gollum, and the way the motion captures mixes with his strange movements is wonderfully executed. Helms Deep is one of my favourite battle scenes there is. Greatly enjoyed your review on ‘The Two Towers’ and really like how you praise the quality of Peter Jackson’s directing in this movie. Andy Serkis is fantastic as Gollum and the CGI effects for him are impressive. I agree The Battle of Helm’s Deep is impressive and it’s amazing how many night-shoots they put into making this 45-minute battle work. Really like how you praise the actors in this! Merry Christmas to you too Tim. Thanks for the wonderful response to my review, I just loved writing about these movies. Spot on again, sir. The darker tone really strengthens the film and, like you mention, Aragorn’s development is a major plus point. I loved this one and it really set up the final instalment brilliantly. It seems to be in a lot of trilogies that the middle part becomes darker than the first. I love how the characters develop in this one, as you mentioned Aragorn is excellent. But I also find that Merry and Pippin grow up a lot in this film. Towers is the one I have seen the least. You know how it is. Fellowship is so damn easy to watch and jump in at any point. King is always on TV (like seriously, it seems like it’s on every weekend) and is also easy to jump in and enjoy. Towers was so dark. I rarely get the mood when I say, “Yeah I’m going to watch Two Towers today!” Although this review is putting me in that mood. I agree that Towers is the darkest one of the three. For me, I see all three films as one big movie. I wish I had the opportunity to watch them like that, as one big movie. That’s pretty much the design of it. A marathon viewing is a real experience.